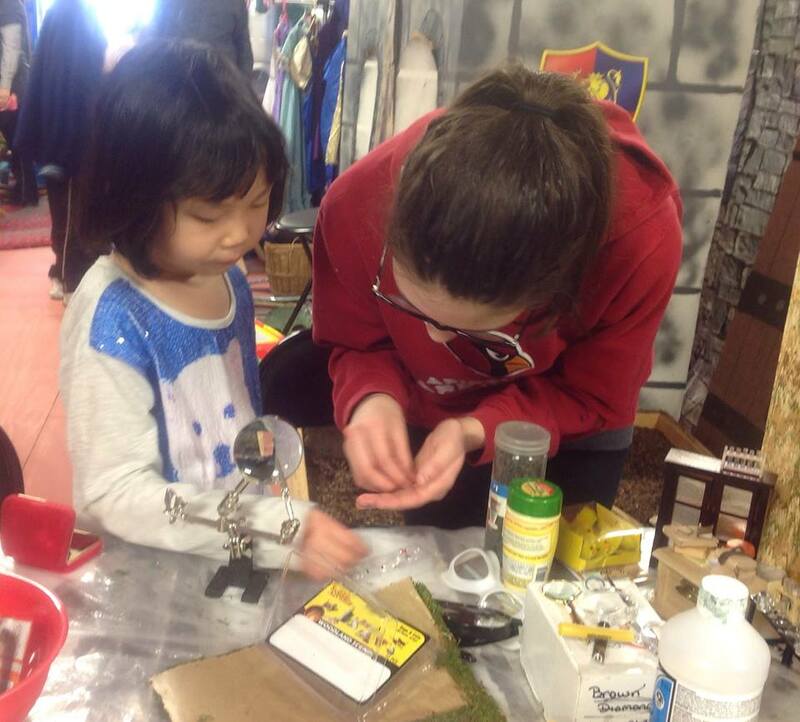 A selection of exhibits from The Miniature Museum of Natural History and a portion of our miniature Laboratory went to the Iowa Imagination Station over Spring Break. 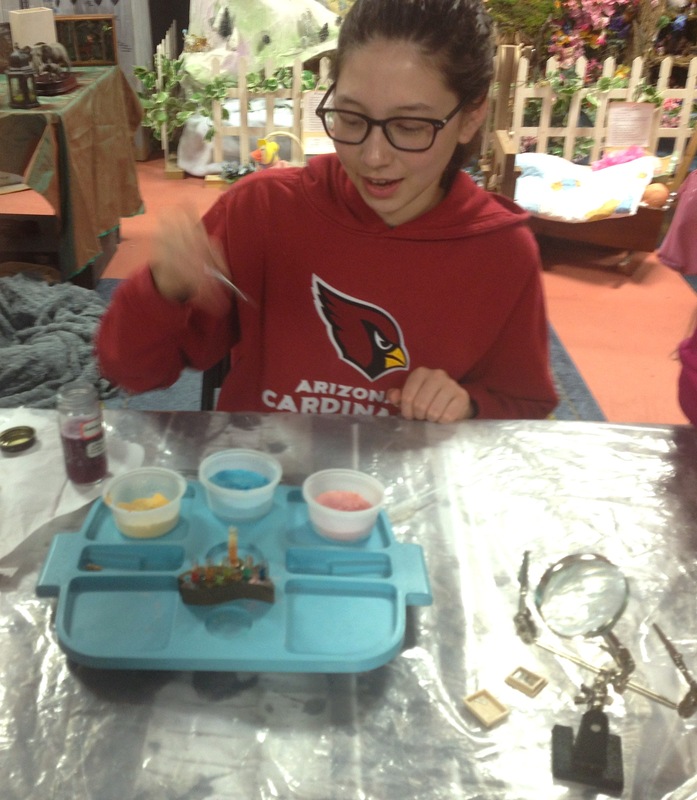 Here’s Angie conducting miniature acidity and alkaline experiments with the tiny test tubes. And here’s Ethan assisting her on the first day. 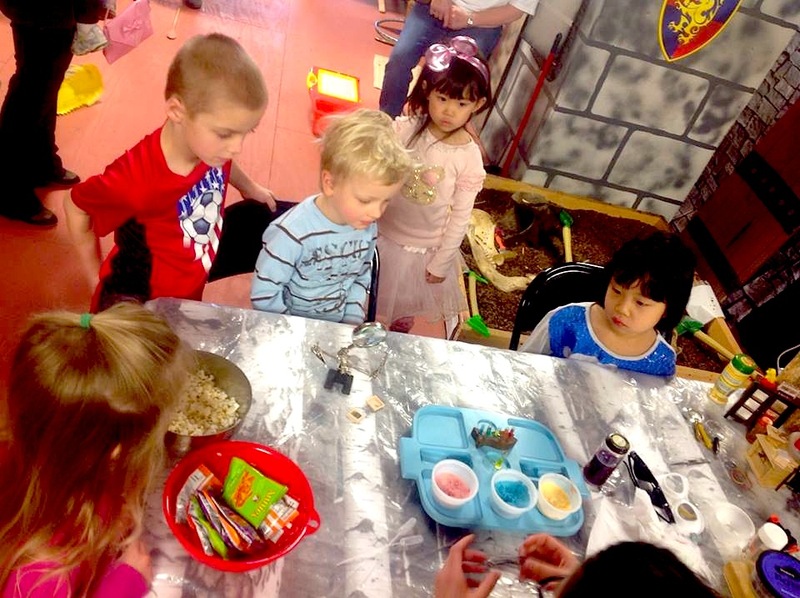 all to a fascinated audience of younger kids and mature older ones. 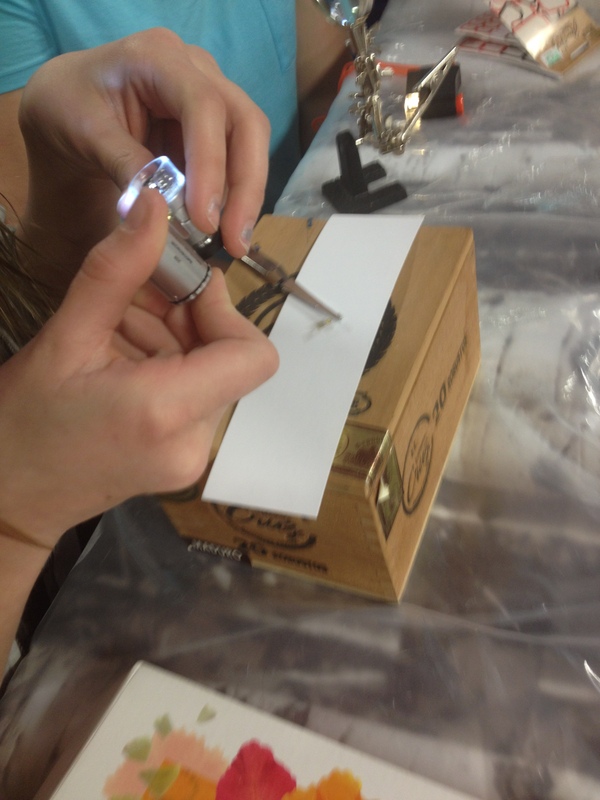 We also looked at the miniature slides with various magnifying devices and miniature microscopes. 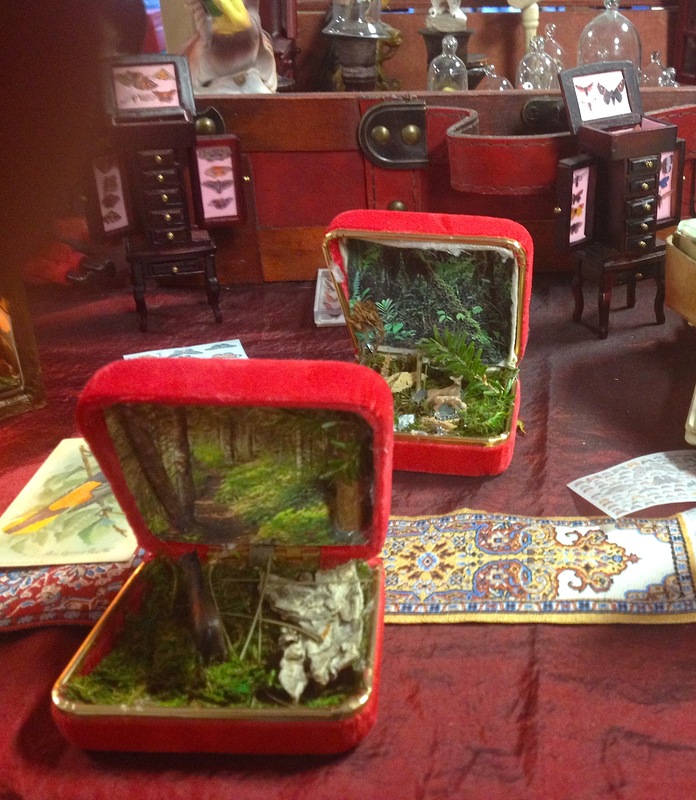 Then a group of talented diorama artists made miniature scenes in velvet ring boxes, using HO scale animals and assorted bits of nature modified for tiny effects. 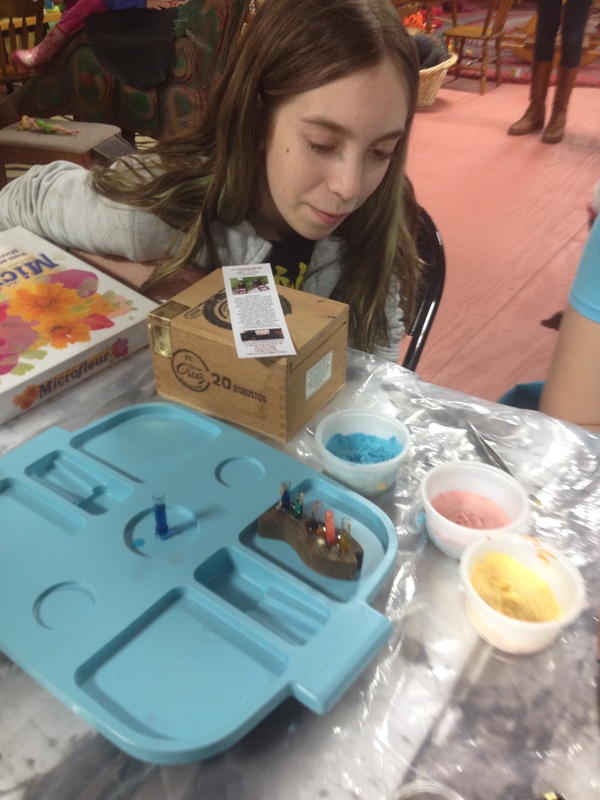 Here’s Angie helping a young artist..
And Lizzie Ayers-Arnone and her friend made their own very creative dioramas. 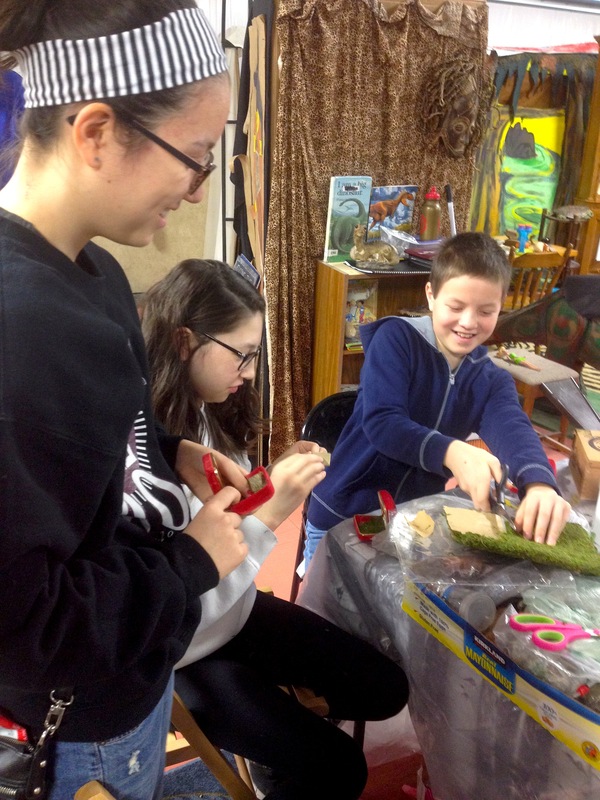 And Emily, Angie and Ethan also made some demonstration dioramas. 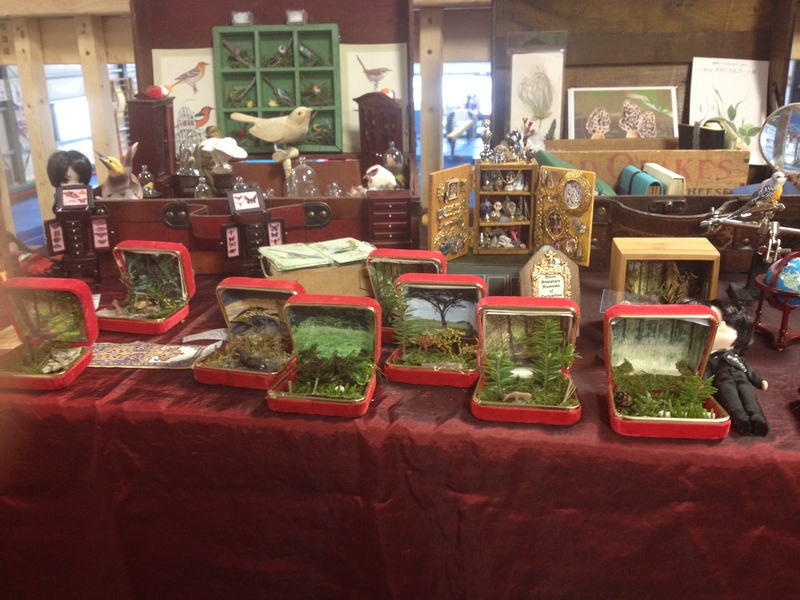 A whole world of miniature natural environments! 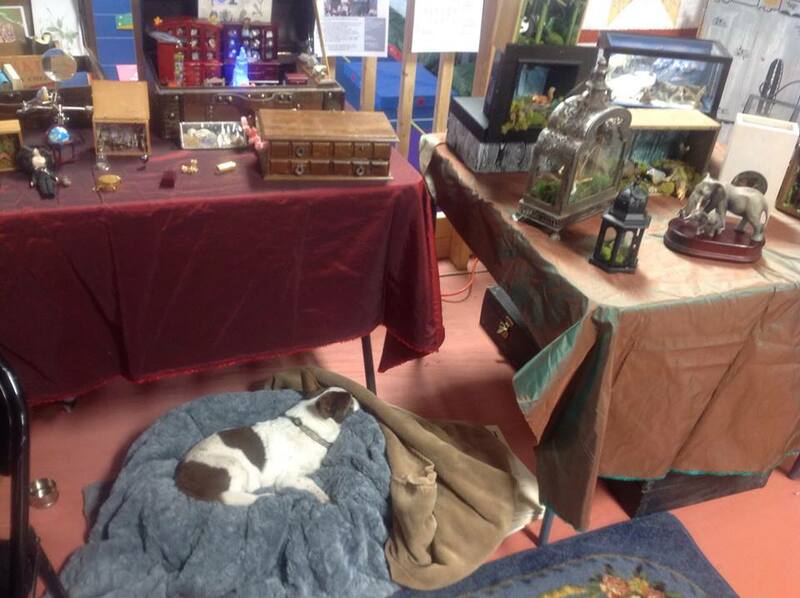 And Mr. Dog was also in the house, guarding the Miniature Museum and being friendly to all the kids who love dogs. The Miniature Museum of Natural History and Laboratory are open for private viewings in our regular location at the Summit St. Studio by contacting us via the comments section on this website or by Facebook.